Intel's new chipset has finally landed and you can read all about the new features it offers in our Z97 article here. 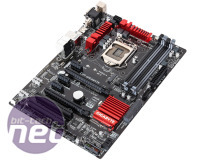 We've got a huge pile of motherboards to test across an even bigger price range but as we can now reveal all, we've picked four of the best between £110 and £140 from ASRock, Asus, Gigabyte and MSI to see which boards are worth your cash. We will of course be looking at many more over the coming days and weeks but there are too many to post in a single day - that's a good thing, though, as it means there's a huge amount of choice when it comes to Z97-based boards and some retail for under £70 too. You can click on any of the images below to go to the reviews or click here to go to the first one. 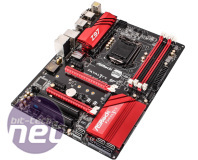 In the ASRock corner, we've got the racy-looking Fatal1ty Z97 Killer. It retails for just £108 - the second cheapest board on test and certainly looks the business with its large sporty red heatsinks. Despite it's low price, it also includes 10Gbps SATA Express and M.2 plus isolated audio circuitry, Killer network adaptor and CrossFireX support. Head here to see the review or click on the image. 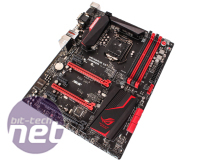 Asus has launched a whole stack of motherboards for the release of Z97 and perhaps the most interesting is a budget Republic of Gamers offering called the Maximus VII Ranger. It retails for £130 - by far the cheapest Republic of Gamers motherboard ever on launch day and could be real competition for MSI especially, who did very well with its Gaming boards in the sub £130 price bracket. You can see our review of it here or by clicking on the image to the right. Retailing for just £105, the GA-Z97X-SLI is one of the cheaper Z97 motherboards available at launch but comes with most of the bells and whistles. These include 10Gbps SATA Express and M.2 as well as SLI and CrossFire support. You can see our review of it here or by clicking on the image to the right. 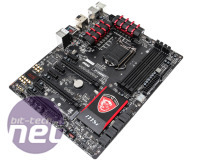 With a successful time on Z87, MSI has a lot to live up to with its Z97 motherboards. It too has a pretty big range with Gaming 3, 5, 7 and 9 models including a mini-ITX model plus Z97 versions of its MPower MAX AC. Today we're looking at the Gaming 7, which retails for £140, and as you'd expect, it has all the bells and whistles, an excellent EFI plus M.2and SATA Express support. Click here to read the review or click on the image below. Head over the page to see the first of the reviews.